A stylish whisky or spirit decanter crafted in fine quality heavyweight lead crystal with a clean circular shape with flat front. 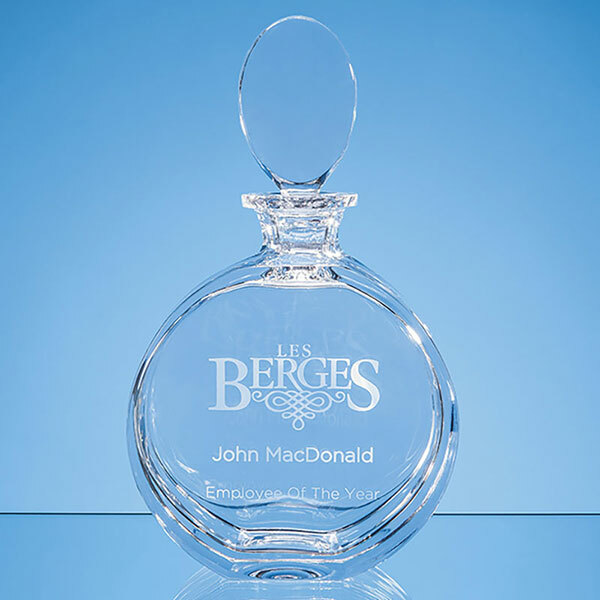 These 0.65ltr capacity spirit decanters include a large flat oval shaped stopper and offer a large engraving area on the body. 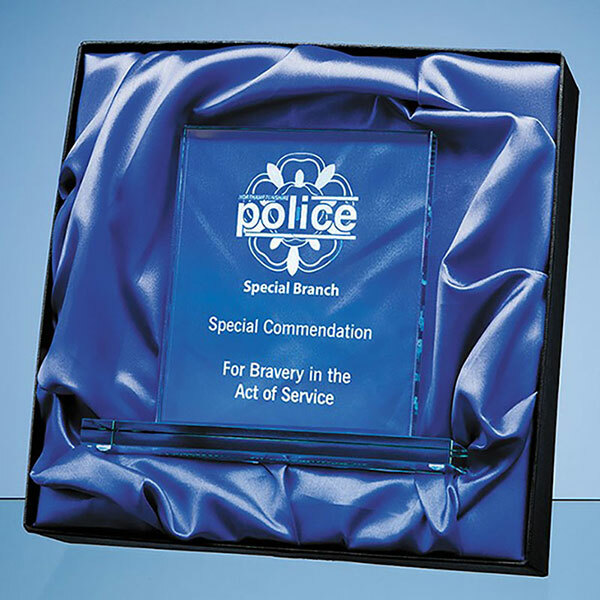 They are offered here with text and/or logo engraving options. An optional deluxe presentation box is also available.